We’ve had our differences over the years, no doubt. In 2008, we criticized the Home Delivery:Fabricating the Modern Dwelling exhibit and in 2011, we took issue with the Foreclosed:Rehousing the American Dream. 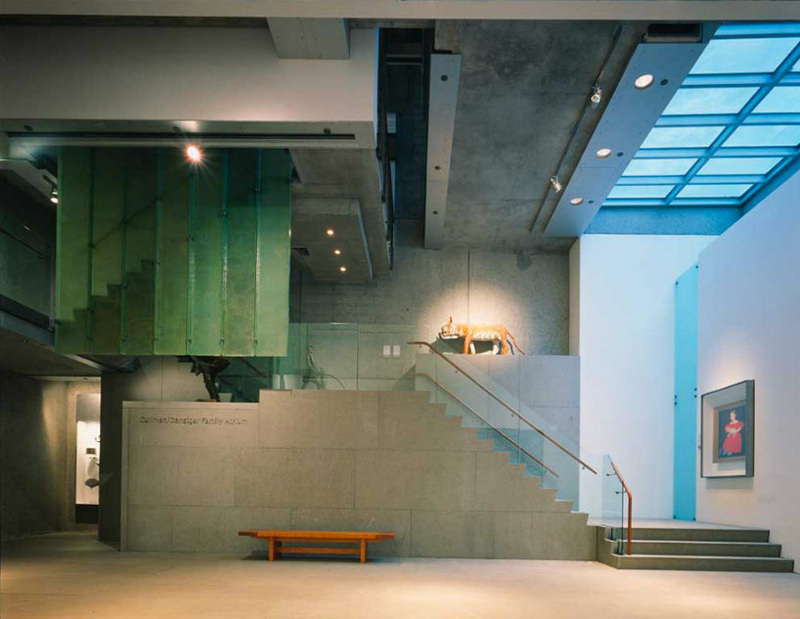 But in general we’ve found the exhibits and the philosophy of MoMA to be exemplars of the modern mindset we stand for. The redeeming quality of both shows was that they sparked public debate and put a spotlight on important issues, whether or not we saw eye to eye. We agreed to disagree; keeping loyal to our MoMA membership (yes, we’re card carrying members all the way from Seattle), and continuing to make your museum the epicenter of each and every trip to NYC. 1. You are failing modernism. 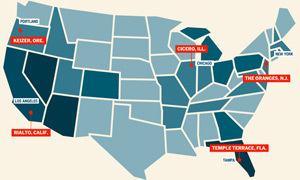 Modernism seeks thoughtful solutions to challenging problems. One of the main reasons you offered the New York Times in support of the demolition was the varying floor heights between the two buildings. Are you kidding? You can’t figure out an elegant solution to handle the differing floor heights? Isn’t resolving something like incongruent geometries exactly what modernism excels at? If your architects can’t provide a handful of exciting solutions to do so, send the plans on over, Team BUILD would be more than happy to deliver on it. 2. You are practicing anti-sustainability. The environmental impacts of bulldozing a perfectly functional, 12 year old building are shameful. We get a headache just considering the consequences: the effort it will take to raze the building, transport the debris, and the amount of space it will consume at the landfill—not to mention the wasted energy, time, materials, and financing of the original structure. Don’t even try pulling off some exhibit on “green” design after this foolish move. 3. Your feet no longer touch the ground. You’re losing touch with the design-conscious public, also known as your patrons. Those of us with both feet on the ground in the design world are concerned with the built-environment and how we relate to the world around us. We also honor our fellow women and men—some of whom put in a great deal of time and energy on the American Folk Art Musuem. When you make decisions that lack sensibility, you lose us. MoMA, you are America’s largest modern art institution and you should be seeking dynamic, engaging design strategies in your architecture, just as you do with your exhibits. Demolishing the Folk Art Museum is mediocre design move. It lacks imagination. To be blunt, it’s lazy. In our opinion, this decision has taken you dramatically off course; you are no longer leading the charge on modernism and we can’t go along for the ride. Couldn’t agree more. I can’t decide which of the factors driving if this boneheaded move is worse – the real eastate efficiency or the ‘branding purity’. What an asinine decision. It’s moves like these that give Americans a bad reputation. Well said Team BUILD. 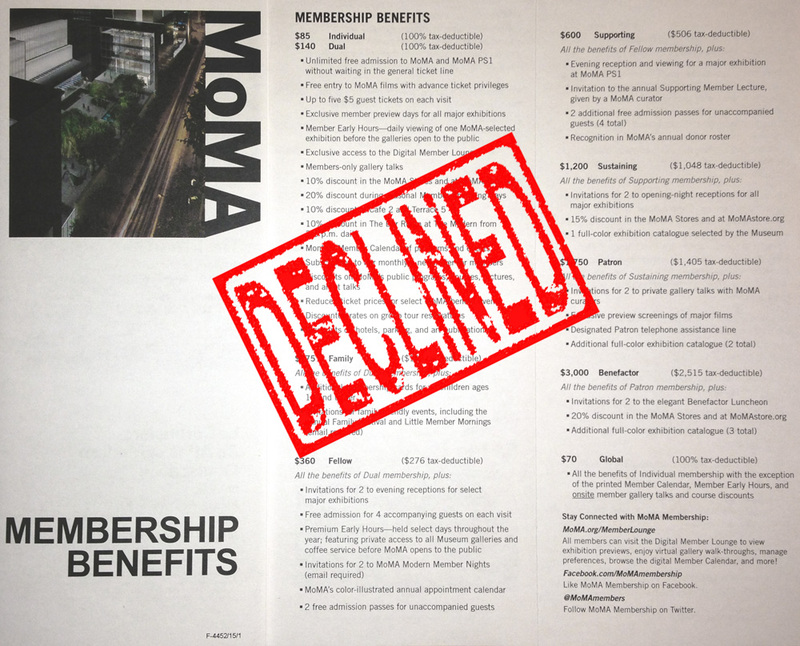 This move by MOMA is “un-sustainability” at its very worst. Especially with the “anti-sustainability” comment, and this blank canvas comment: “Negligently erasing the Folk Art Museum from the urban fabric to create a blank canvas is the sort of move that a second year architecture student makes…” Well-said. The demolition of serviceable buildings makes me feel sick. Here’s a link to a petition that I’ve signed, for what it’s worth. I wonder if you can merge petitions. I signed a different one (which looks identical, same photo and all) and have only been following that one. Thank you for alerting me to a second, James. I hope these two can get together and merge their redundant efforts! @James – Thanks for sharing the link. @Noah – The drafters of the dual petitions are aware of each other, so hopefully they’ll figure out a way to consolidate and increase their momentum. Good to see the waves of support, regardless! A thoughtful critique. You make a good point that in this instance oddly it seems the almighty dollar is driving this decision, and of course the comment about the next “green” exhibit had me on the floor laughing. Let me know if MOMA decides to take you up on your invite and send the plans over. I’d like to see your work on this. – Manhattan new build estimates: $323.42/s.f. Apparently MOMA has so much money they shan’t bother with the unwashed masses . . . so this unwashed mass will also forego any contributions towards their future prosperity. 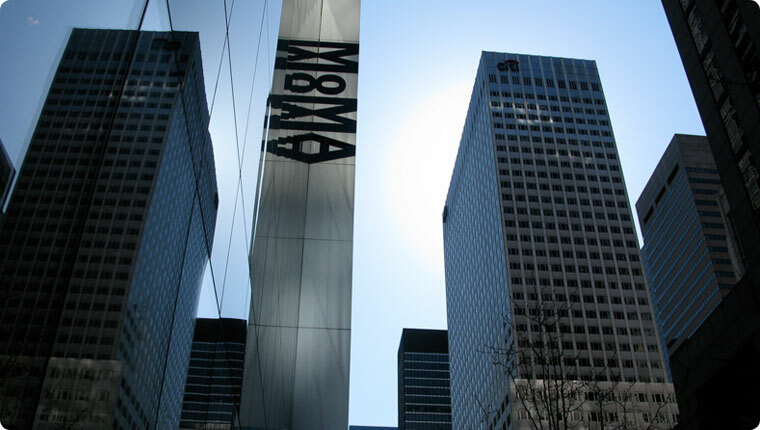 MOMA has become the pre-Luther Catholic Church; an organization unto itself that’s lost sight of it’s mission. 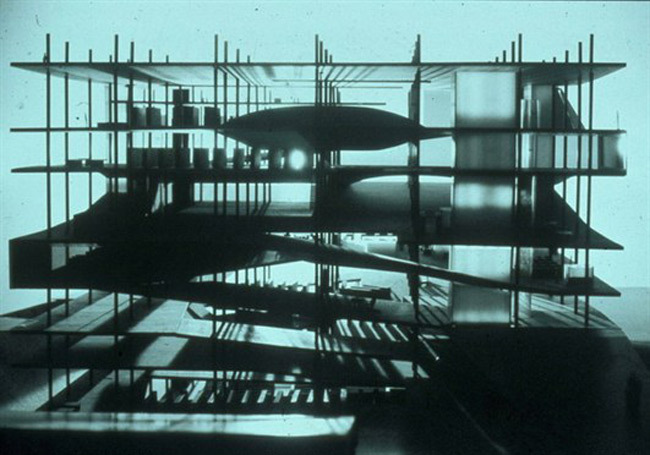 A respected architecture group needs to hold a competiton to develop ideas for MoMA… since they seem to have NONE. Who will do this? Great post! I think I’m still too angry to write eloquently about this act of design negligence. Its such a shame a beautiful building is being sacrificed for such asinine reasons. 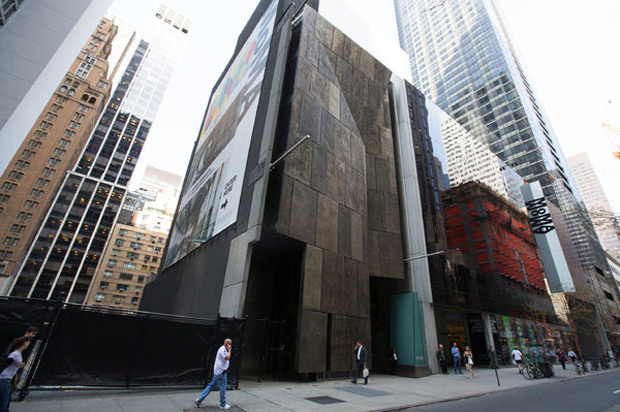 As a New Yorker who as a younger architect spent every lunch hour watching the Folk Art Museum be built and then later tour the building with Tod and Billie it’s insanely painful to hear how MOMA will dismantle a piece of Manhattans architectural fabric to build what will most likely be another of their glass boxes. An eloquent post with the reach to have an impact, a strong critique, and a valiant attempt to save a wonderful piece of work. Shameful. For anyone who has truly taken the time to experience this building, it’s a very sad day. Looks like public outcry can make a difference. We’ll take reconsideration over certain destruction! What about the mediocre stuff inside the museum? 90% of today’s art is just garbage, an apology to the easy shortcuts for money, do it all for the money.